Taking place at the Genting Arena in Birmingham, BPM | PRO is the UK’s biggest sound, lighting, DJ and studio equipment event. ADJ has exhibited at the show every year since it started over 10 years ago and in 2017 the ADJ team will be out in force to introduce a number of exciting new products to UK lighting and video users. ADJ disrupted the LED video panel market a few years ago when it introduced the incredibly affordable AV6 and since then the AV series has enjoyed phenomenal success as it expanded with the introduction of the AV6X and high-resolution AV3 panels. Now, at BPM | PRO 2017, ADJ will showcase the latest new addition to the range, the AV4IP. 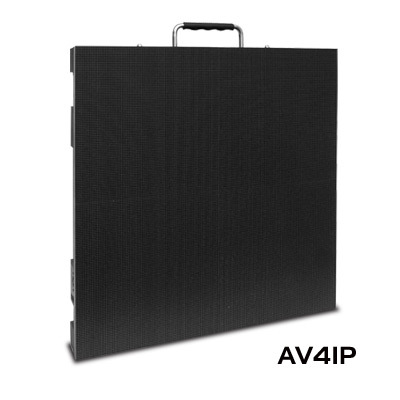 Designed for outdoor applications, the AV4IP offers the same excellent build quality, reliability, and affordability as the other models in the AV series but with an IP rating (IP65 on the front, IP54 on the back) that makes it suitable for use in any weather conditions. Offering high resolution video playback, the panel has a 4.81mm pixel pitch and is powered by SMD1921 RGB LEDs which generate a brightness of 4000 NITS. Also on display at BPM | PRO 2017 will be ADJ’s next generation LED hybrid moving head, the Vizi CMY300. Powered by a specially-designed 300W LED engine that offers massive output ideal for large venues and productions, this flexible unit functions interchangeably as a beam, spot or wash fixture. 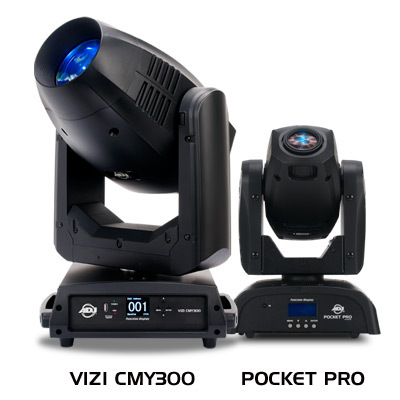 With a huge zoom range of 8 to 48-degrees, and an expansive feature set, it allows lighting designers to achieve multiple effects from one fixture, therefore reducing the number of units required for both fixed installations and touring productions. This professional moving head offers designers a huge palette of colors, thanks to CMY mixing, as well as two GOBO wheels, two rotating prisms, motorized focus and motorized zoom. It also features a modular design that makes GOBO changes, servicing and on-the-road repairs extremely easy. At the other end of ADJ’s moving head range is the new Pocket Pro, an incredibly affordable and compact fixture that is ideal for use by mobile entertainers and also for installation in small clubs, bars and leisure venues. Utilizing a bright 25-Watt white LED light-source, this innovative unit offers an unprecedented level of functionality for a fixture of its size. In addition to independent color and GOBO wheels, it offers interchangeable GOBO patterns that are easy to switch thanks to its simple EZ Open cover design inherited from ADJ’s popular Focus Series of professional moving heads. 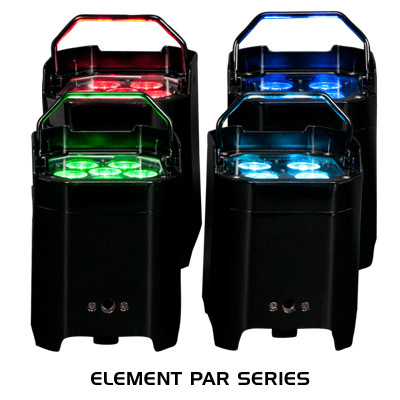 ADJ’s stylish new Element Series of portable LED up-lighters will also be demonstrated at the show. Designed to make life easier for event professionals, each of the fixtures in the Element Series features an internal rechargeable lithium battery and an extended range WiFLY EXR wireless DMX transceiver, allowing for completely wireless operation. Ideal for wall washing, the Element Series fixtures are all fitted with an integral carry handle and in-built feet which mean they can simply drop in place and be ready to go. They also feature a built-in kickstand which allows the beam to be easily angled inwards if required. There are four models in the series, two with quad color LEDs and two with hex LEDs. Each type is available with a standard casing or an IP54-rated weatherproof enclosure allowing for outdoor use. All of the models are lightweight and compact, while also boasting a sleek shiny black finish. In addition to its own stand, ADJ will also be sponsoring the entrance area of the show. This will feature custom-built registration desks fitted with ADJ AV Series LED video panels, which will demonstrate the brightness and image quality of the screens as well as their flexibility. On the Sunday evening of the event, ADJ is also sponsoring the show’s official After Party alongside Pro Mobile magazine. Taking place at The World Bar, in the Resorts World complex directly opposite the Genting Arena, the gathering will offer visitors the opportunity to network and socialize in a relaxed environment after the show closes. Wristbands for the party will be available for collection from the ADJ stand throughout the day. BPM | PRO 2017 takes place in October on Sunday 22 and Monday 23. The ADJ stand, #AB26, will showcase the new AV4IP, Vizi CMY300, Element Series and Pocket Pro as well as many other fixtures from the ADJ range. Members of the ADJ team will also be on hand to demonstrate the equipment, offer useful advice and answer specific questions.